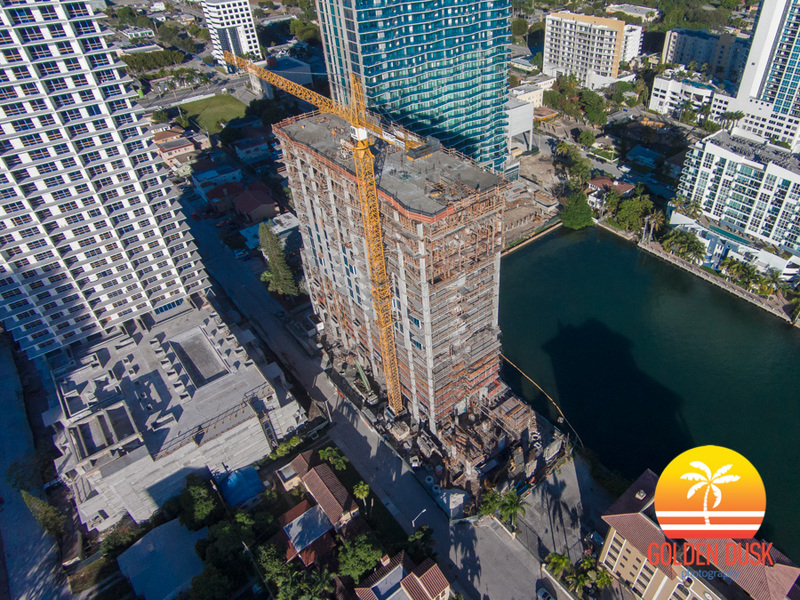 Since topping off a year ago, The Crimson is almost complete on the 90 unit residential condo in Edgewater. The 18 story building is located between the recently finishing Icon Bay and Bay House. 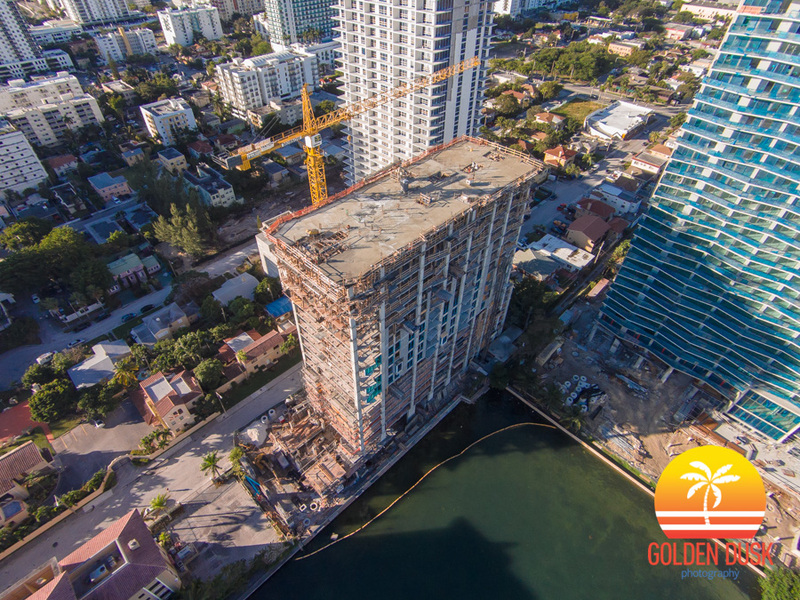 The Crimson - situated in Edgewater between Icon Bay and Bay House will be the last of the three condos to be finished in the area. Since topping off in December 2014, The Crimson is starting to take for the 90 unit residential condo. 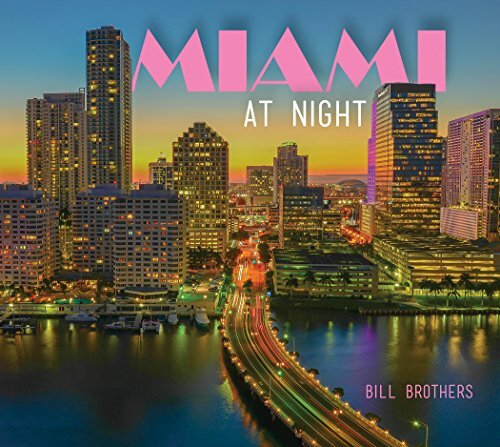 Located in the Edgewater district of Miami, The Crimson is expected to be completed in the Summer 2015. The Crimson, only two months ago was two stories high and has now reached eight stories putting it close to the halfway mark. 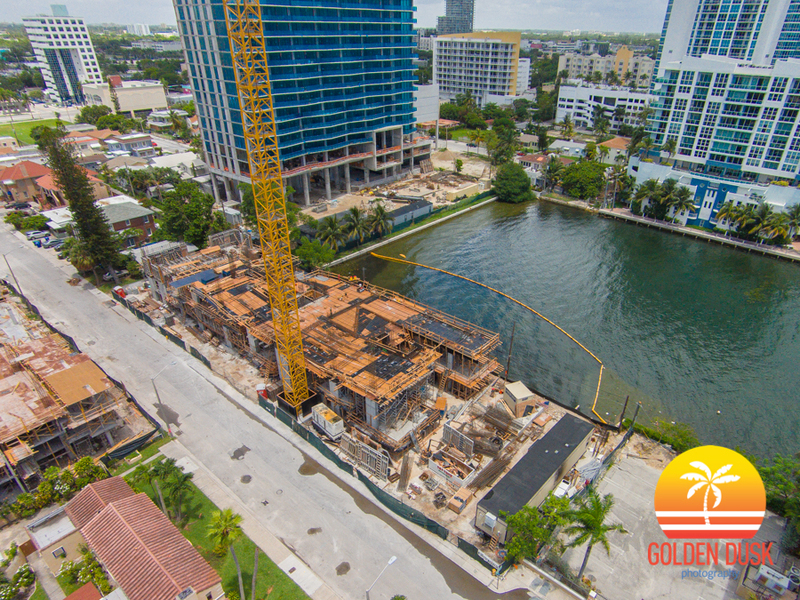 The 18 story condo will rise 202 feet and is located next to Bay House and Icon Bay in Edgewater. 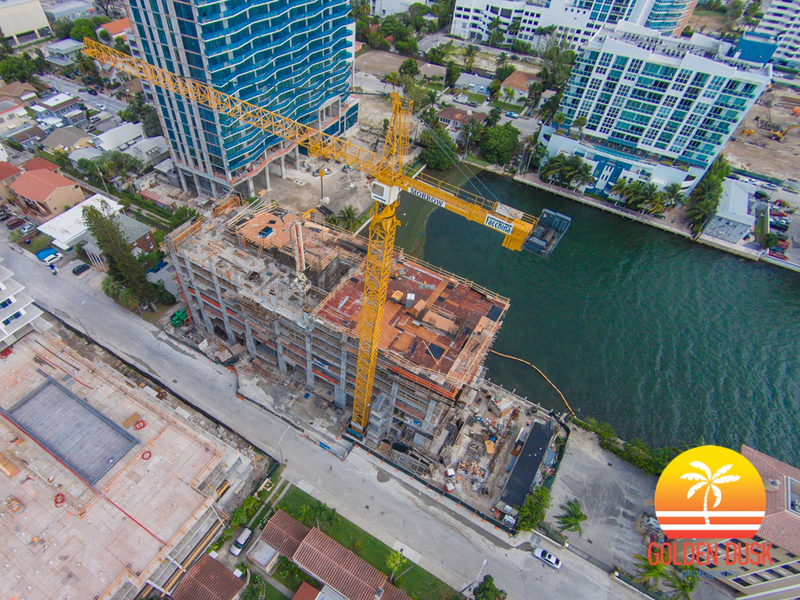 At a height of 202 feet and 18 floors, The Crimson will hold 90 condo units and is located in the Edgewater district next to the Icon Bay and Bay House. The developer is MCKafka Development and the architect is IDEA. Construction began in December 2013.